Kellin Quinn really needs to learn how to keep his mouth shut. 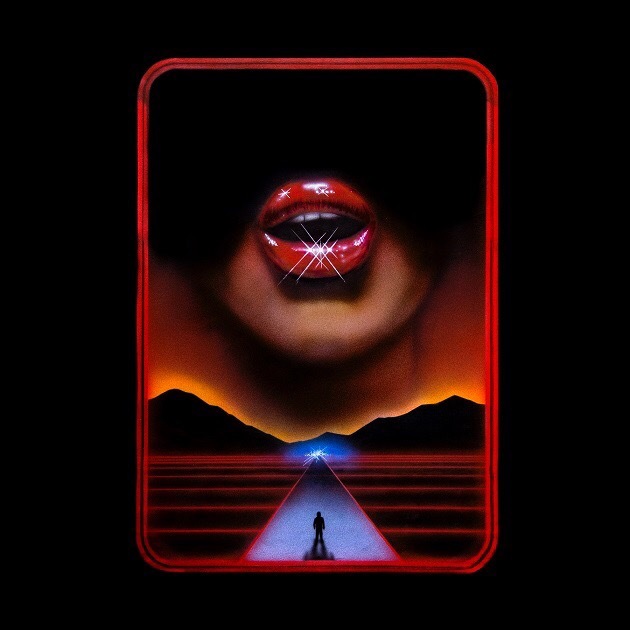 In the run-up to this fifth album, the Sleeping With Sirens frontman has taken the regular promotional route, describing it as a more mature album to fit where he currently is in his thirties, and how there will still be plenty for older fans to enjoy. Just throw in the typical soundbites of how it came from “dark times” and how it’s their most “personal album to date” and you’ve essentially got every press release ever, but it doesn’t help when the songs that have already been released from the album actively contradict how they’re being sold. Which leads us to Gossip itself, Sleeping With Sirens’ latest attempt at being a big, grown-up rock band. Note the word “attempt” because even after two failed tries at the same thing, this isn’t much better. Even then, you would at least have hoped they’d have improved by now, and splicing together the best parts of their last two releases would at least have wound up with something half decent. Feel might’ve been well-written but lacked a lot of spark, and while Madness was a lot more simplistic, its best moments had the zeal its predecessor was missing; with Gossip, there’s none of that, instead ending up as a confused mess of shifts and styles that tries to please everyone but ends up totally unfulfilling. And that really shouldn’t be the case as, five albums in, a band should at least have a grasp on their own identity. This is a particularly weird case with Gossip, seeing as the “mature” justification would suggest approaching a few more complex, detailed topics, but this is the exact same thing that Sleeping With Sirens have been doing for years now, with the exact same uninteresting presentation and the exact same nebulous language to make the whole thing feel that much more insincere. Just look at Legends, the big lead single about overcoming adversity to achieve your dreams, or Hole In My Heart, saying that you’re still beautiful no matter how broken you are on the inside, the sort of sentiments delivered in Quinn’s typically over-earnest delivery that’ll make all the young girls swoon and keep the cash rolling in. Where the maturity comes into either of these tracks is a total mystery given how bland they both are, rehashing the same played-out clichés with maximum efficiency in a way that has no momentum or deeper resonance. Cheers is slightly better at achieving the same effect, not hurt at all by a high concentration of sleazy electronic embellishments, but even then, Sleeping With Sirens trying to convince anyone that they’re the downtrodden “gutter punks” is a laughable thought in itself. It’s frankly amazing how little Gossip knows what it wants to be; to the extent that this is supposed to be the product of a man in his thirties, there’s plenty about this album that just lazily plays to the stereotypes that Sleeping With Sirens have had built around them, at points more than ever. Even with Quinn singing “I do it ’cause I love it” on The Chase with regards to his career, that’s hard to buy considering how cynical and desperately calculated so much of this album sounds. The likes of One Man Army and Closer have the super-clean, muted guitar work of a Shawn Mendes song; for all its pretensions towards grandeur and power, Legends finds itself weighed down with a flat, empty beat; and I Need To Know is the sort of pop-rock ballad that’s pretty much contractually obliged to be on a Sleeping With Sirens album, if only to guarantee enough units will be shifted to warrant another one. Even when there is the faintest whiff of maturity and trying something new, there’s so much that’s compromised; the title track and Trouble have a decent bit of swagger to them which is cut short by some truly egregious vocal compression, and the breakdown on Empire To Ashes is about as uninteresting and uninspiring as you’d expect for a song that thinks stringing together buzzwords counts as political commentary. It leads to Cheers being objectively the best track here, regardless of how stupid it might be, purely because there’s a bit of grit that comes from some harsher electronics that actually has a bit of strut to it. It’s not fantastic by any means but when it comes to Sleeping With Sirens, taking what you can get is often the best option. Because, to be totally honest, Gossip isn’t actually that much of a disappointment. It might be bad and completely flies in the face of all the grandstanding that preceded it (total shocker…), but Sleeping With Sirens have always had problems with making full albums, and this is no exception. The fact that this is probably one of their weakest, though, is worth getting annoyed about, purely because they’ve come up with enough ideas in the past that could’ve worked when compiled as an album, but have instead just ignored them for this turgid, pandering mess. As much as Sleeping With Sirens want to sell the idea that they’re growing up and making serious music, albums like this make those words seem all the more hollow. As such, Gossip is probably the best title for an album like this to have, one that thinks it’s causing some sort of major stir, but really has nothing of value to say whatsoever. ‘Gossip’ by Sleeping With Sirens is released on 22nd September on Warner Bros. Records.